Did someone steal your car key? How many times have you lost your car keys? If you’re like most drivers, you’ve probably lost your keys several times! It will maybe cheer you up to know that it much easier to replace a car key in the U.S than in Europe. That includes if you lost your only car key. When you have lost or misplaced your keys, don’t hesitate to call us. To point out, one call to LockTech24/7, and we will come out right away. We provide car keys replacement service wherever you’re located in the Lehigh Valley. Don’t hesitate to call us now because we come to cut and program your car key to your vehicle without delay. A basic car key, which was common up until the mid-to-late 1990s, has no security feature other than its unique cut. The shank, which is the long metal part of the key, has cuts and grooves like a house key. The shank content these cuts, for one thing, to prevent one car owner turn on a car a car that now his own. It’s easy to copy these keys. A locksmith doesn’t need any extra equipment: He can use the same machine he uses to cut other keys. Car keys replacement is the expertise of any professional auto locksmith. Most ignition keys now have a transponder that electronically communicates with the vehicle to prevent theft. You can’t start your car if the key isn’t programmed to match the security system of the car. The systems can also include a separate or integrated fob with buttons for locking and unlocking the doors. To put it differently than transponder chip key. Transponder chip disarms a vehicle immobilizer when the car key is used to start the engine. The majority of keys to cars built after 1995 contain VAT keys, as well as transponder chips keys. When the car key is turned in the ignition to ON, the engine control unit (ECU) on the car sends an electronic message to the key. And it will allow the car to start only provided it receives the correct message back. So, even for a simple car key without any buttons, the key must be cut correctly to turn the locks, and also programmed correctly. You must program new transponder key to your car. When the key is programmed correctly, it disarms the immobilizer. Car keys with chips can be programmed using special equipment. Our locksmiths can do it for you. Car keys replacement service done by our professionals will assure you can drive your car as soon as possible. 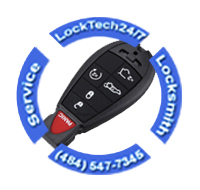 A good place to get a spare car key is by contacting LockTech24/7, your local auto locksmith company. Our specialized locksmiths have a greater selection of transponder, VATS, PATS, and laser cut car keys. A transponder key’s shank is either a basic key cut or a laser-cut key. The major difference between a basic key and a transponder key is that the chip in the transponder key must be programmed before it can start the vehicle. As for today, in most car and models, you may need car keys replacement service that includes programming the chip key to your vehicle. In most cases, after programming a new key, the old key will no longer work on your car. Which means, if somebody stole your car key, he won’t be able to run it away. However, you definitely don’t want to break the ignition in order to start your car with a screwdriver. Laser cut keys are only one name with others, also known “internal cut key”, or sidewinder key. This type of key is different from regular or traditional keys. High-security keys are wider, thicker, and the cuts are along the interior face of the key shank. This means it is harder to pick the lock for a laser cut key, and it also harder to duplicate. 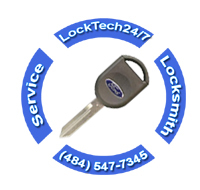 At LockTech24/7 automotive locksmith service department, we provide you with a new high-security car key, right on the spot. We possess a large inventory of high-security transponder automotive keys. Don’t hesitate to call us and find out if we hold your key in stock. Our technicians are available 24 hours a day, 7 days a week to provide you with the car keys replacement service that you need. A key fob is a palm-sized portable device capable of controlling various parts of a car. Their primary function is to manage the remote-entry system installed in a car. Design dictates whether the controller stands alone or works like a key-ring. Depending on the style, the fob may also include a regular or valet key for the vehicle. Key fobs are an integral component of a key-less entry system. A key fob is also a word used to describe a keychain and several other similar items and devices. The word fob is believed to have originated from watch fobs, which existed as early as 1888. The fob refers to an ornament attached to a pocket-watch chain. Keychains, car starters, garage door openers, as well as key-less entry devices on hotel room doors are also called fobs. Our car keys replacement service includes also key fob programming, specifically to your car brand and model. How locksmith makes a new key? After verifying ownership of the car, the locksmith will send out the information of the car that was provided by the owner and will wait to get back a key code. A key code is a number or string of characters that tells special machinery how to cut a key, easily. Each car key has its own unique key code. Having the key code will definitely save your money when using the services of LockTech24/7 because it facilitates our job. The locksmith inserts the key code into a special computer’s software. After inserting the code, the computer software will return the result of the key cuts. This is a service that a locksmith needs to pay for. When the locksmith knows the cuts of the key, he put the key in a special cutting machine to cut the key. In all cases, unless the ignition lock was replaced, or the car has VAT security system, the same key will open the doors, trunk, and ignition lock. Note – Not all keys are made the same! The world of spare car keys is full of variety. Getting keys made for 2 cars of the same year and of the same make does not necessarily mean they will cost the same. Ask a locksmith or a dealership on the phone if the key for your auto needs to be programmed. If it uses VATS, transponder, PATS, chip, and how much it costs. 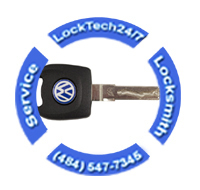 Buying your car key online or with LockTech24/7 is usually the way to go. With this in mind, you get the same key that the car dealer gives you, but it is usually cheaper. Car keys replacement service is our pride. We carry advance diagnostic tools and machines in order or make your car key on the spot. 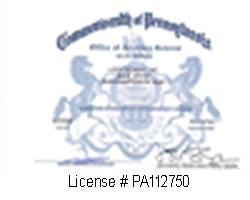 Registration of the car or proof of ownership. So what would you do if you have lost my car keys? 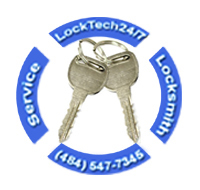 Call a locksmith at LockTech24/7 , of course! 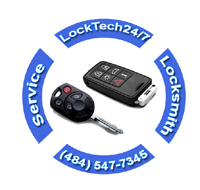 If you’ve lost your car key, contact LockTech24/7. We’ll be happy to assist you and make a new key to your vehicle. Some cars come equipped with a keyless entry system designed by the manufacturer, other equipped with an aftermarket alarm system. It’s also important to point out that with some cars you may need a branded key fob because aftermarket key fob won’t work on your vehicle. If you have lost your keys, or have just bought a new car, and need to program a new keyless remote, you reached the right place. Whether you drive a car, a truck, or an SUV we have the remote you need to program to your vehicle, please call us now. In many cases, car keys replacement involves programming transponder keys. After cutting the key, the locksmith will plug-in a special programming machine to the OBD plug of your car to connect to the ECU. If your car takes a pin code for programming, the locksmith has to insert it in the process of programming the key, otherwise, the key won’t be programmed. If you lock your key in your car or trunk and have no way of getting to it, a locksmith can often make an inexpensive key. This key will open the doors and the trunk only, but will not start the engine. That will allow you to retrieve the original key.